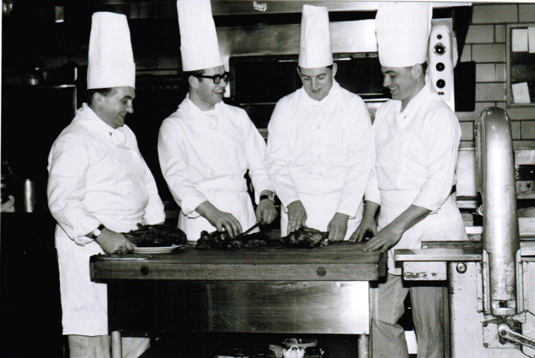 Taken at the Georgia Hotel in Vancouver around 1967, this black-and-white photo shows a team of chefs working together to prepare a delicious meal -- probably for some lucky patrons. Do you recognize anyone in the photograph? If YOU have any stories, photographs, or other interesting tidbits to share with BC, whether it's restaurant-related or simply Canadian, let us know! We will post it here for you.